Westlawn Manor Bed & Breakfast Our records show that this inn is closed. 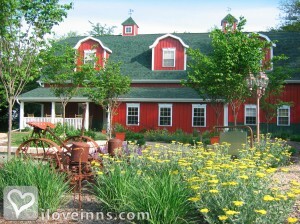 Paxton bed and breakfast travel guide for romantic, historic and adventure b&b's. Browse through the iLoveInns.com database of Paxton, Illinois bed and breakfasts and country inns to find detailed listings that include room rates, special deals and area activities. You can click on the 'check rates and availability' button to contact the innkeeper. Paxton, Illinois is noted for Historic Paxton Carnegie Library and there is Hardy's Reindeer Ranch, Octave Chanute Aerospace Museum, and Green Acres Sportsman's Club. Kankakee River State Park and Lake of the Woods are sought for outdoor activities. Shopping for antiques will bring guests to Arthur Amish Community and Mike's Antiques. Curtis Orchard and Alto Vineyards please many Paxton bed and breakfast guests. Country Gardens Restaurant and Country Thyme Tea Room are two eateries in Paxton. By TimberCreek Bed & Breakfast.